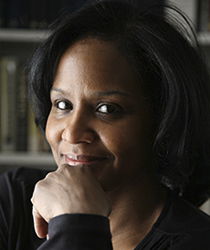 Carol Espy-Wilson received her B.S. in Electrical Engineering from Stanford University. She received her M.S., E.E. and Ph.D. degrees in Electrical Engineering from MIT. She was on faculty at Boston University from 1990 to 2001. Digital signal process, speech science, speech enhancement and segregation, noise robust automatic speech recognition, assistive technologies. ​C. Espy-Wilson, G. Sivaraman, M. Tiede, V. Mitra, E. Saltzmann, L. Goldstein, H. Nam (in press), “Modeling of Articulatory Gestures to Control Effects of Production Variability on Speech Technologies”. In Cangemi, Clayards, Niebuhr, Schupler & Zellers (eds). Rethinking Reduction, Berlin: Mouton de Gruyter, 2018. Vikramjit Mitra, Ganesh Sivaraman, Hosung Nam, Carol Espy-Wilson, Elliot Saltzman, Mark Tiede, “Hybrid Convolutional Neural Networks For Articulatory And Acoustic Information Based Speech Recognition”, Speech Communication, Vol 89, Issue C, pp. 103-112, 2017. V. Mitra, H. Nam, C. Espy-Wilson, E. Saltzman, and L. Goldstein, “Recognizing articulatory gestures from speech for robust speech recognition”, Journal of the Acoustical Society of America, vol. 131, no. 3, pp. 2270-2287, 2012. “A magnetic resonance imaging-based articulatory and acoustic study of “retroflex” and “bunched” American English /r/ sounds”, Journal of the Acoustical Society of America, Vol. 123, no. 6, pp. 4466-4481, 2008. A. Juneja and Carol Espy-Wilson, “Probabilistic landmark detection for automatic speech recognition using acoustic-phonetic information”, Journal of the Acoustical Society of America, vol. 123, no. 2, pp. 1154-1168, 2008. T. Pruthi, C. Espy-Wilson and Brad Story, “Simulation and analysis of nasalized vowels based on MRI data”, Journal of the Acoustical Society of America, vol. 121, no. 6, pp. 3858-3873, 2007. C. Y. Espy-Wilson, S. Boyce, M. Jackson, S. Narayanan and A. Alwan, “Acoustic Modeling of American English /r/”, Journal of the Acoustical Society of America, pp. 343-356, 2000. C. Y. Espy-Wilson, “Acoustic Measures for Linguistic Features Distinguishing the Semivowels /wjrl/ in American English,” Journal of the Acoustical Society of America, vol. 92, no. 2, pp. 736-751, 1992. Professor Carol Espy-Wilson is a trailblazer as the first African American woman, and African American, to receive tenure and be promoted to Full Professor in the ECE Department. The project will investigate how mimicking the brain's auditory processing can address AI signal processing challenges. Eight graduate students have received funding through the award since 2017. The patent could improve automatic speech recognition systems, hearing aids and cochlear implants. Citation reads "for contributions to speech acoustic modelling, speech signal processing and applications to knowledge-driven speech recognition and speech enhancement." OmniSpeech 'OmniClear' software reduces dynamic noise in communication devices. Faculty development workshop helped mid-career STEM academics develop knowledge, skills, strategies and critical networks. The Distinguished Scholar-Teacher Program honors members of UMD faculty who have demonstrated outstanding scholarly achievements along with equally outstanding accomplishments as teachers. A Stanford alumnus, Espy-Wilson, was invited to speak because she is leading the way for women in science and engineering. She was the first African-American woman to earn a doctorate in electrical engineering at MIT.